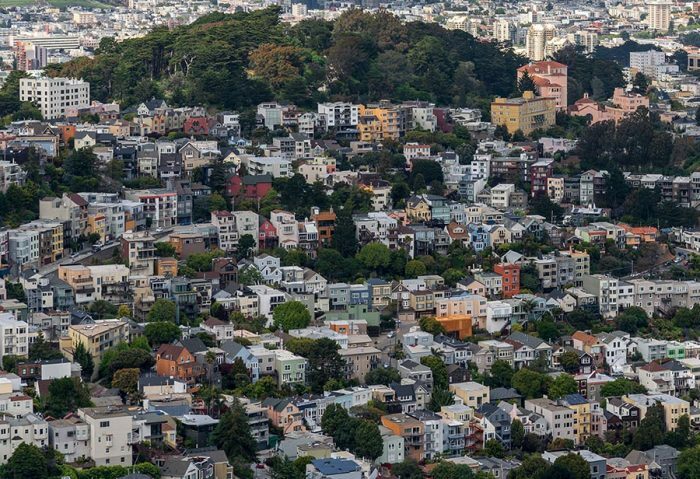 The confidence with which Bay Area homebuyers roared into 2018 waned notably by the end of the year, leading to the largest 2018 year-over-year decline in sales activity in December, down by 22 percent. Though all regions posted similar drops in activity, the Wine Country led the cooling, while San Francisco fared slightly better than other regions. Also, fewer sales were seen across all price ranges in all Bay Area counties (this analysis excludes Solano County). Furthermore, buyers’ retreat at the end of 2018 — driven by multiple uncertainties including political issues, financial volatility, and concerns over the future of economic growth — fostered a better balance between buyers and sellers than seen at the beginning of 2018. Buyers were more cautious, taking longer to shop around and making fewer offers. In December, Bay Area homes generally sold in four weeks, which is two weeks longer than seen at the same time last year. Also, fewer homes sold for more than asking price, with four in 10 fetching premiums, down from six in 10 at the same time in 2017. Lastly, with increased buyer hesitance and more inventory, pressure on home price growth slowed considerably during the winter. In areas where 2018 started off with robust price growth, the year-end slowing of appreciation was most notable again in Santa Clara and Sonoma counties. 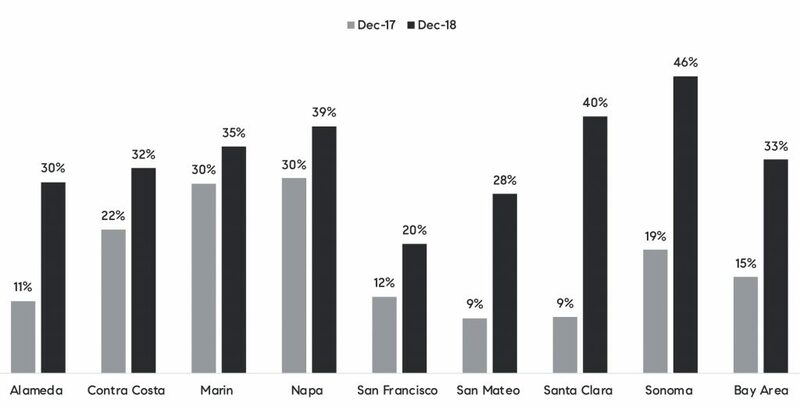 In conclusion, housing activity in the Bay Area ended 2018 with less enthusiasm than it began the year. There were overall fewer total sales in 2018, though it’s important to keep in mind that inventory shortages and further year-over-year declines were persistent throughout the greater part of the year, thus holding back a drove of buyers. Also, the significant price growth that dominated the early part of year was not sustainable for much longer and to a large degree dissuaded many prospective buyers.